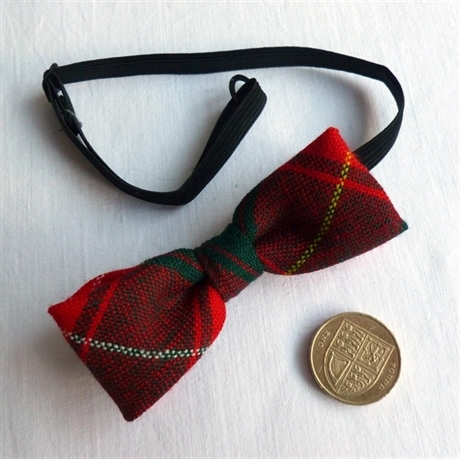 Child's Tartan Bow Tie in Pure New Lightweight Wool. Available in over 500 tartans. Can be made up in almost any other fabric. Email us for other Special Weave or Rare tartans available. Made to Order Match with Child's Tartan kilts or Adults' outfits. Allow 3 - 4 weeks for made to order children's items. Attaches with stretchy band and clip.